Jerash, located 48km or 30 miles outside of Amman, is considered one of the most important and best preserved Roman cities in the Near East. It was one of the cities in the Decapolis, a group of ten cities on the eastern frontier of the Roman Empire in Jordan, Israel, and Syria. Jerash was inhabited during the Bronze Age (3200 BC - 1200 BC.) I had the pleasure of spending a few hours there one morning and was blown away by the magnitude of the site and the access to the ruins. 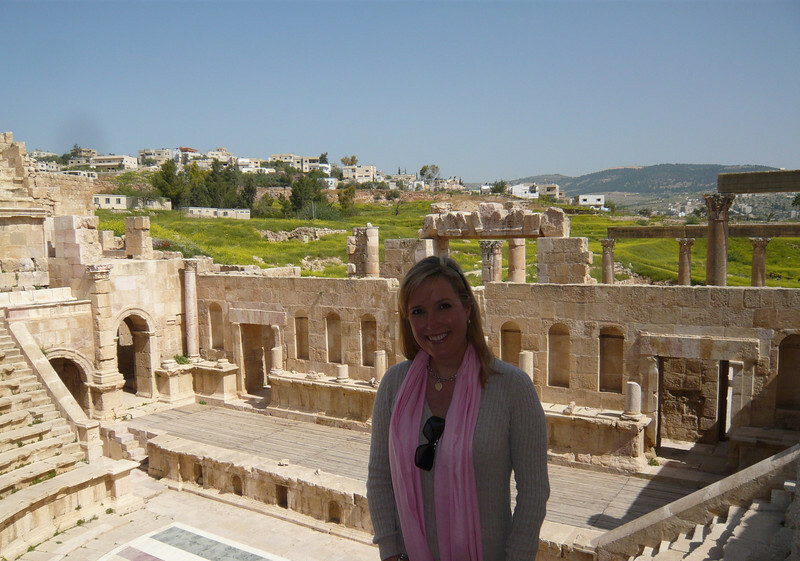 Visiting Jerash was a great adventure, discovering new areas of the city, noticing the ruts in the stone road from chariot wheels and wondering what it must have been like to have lived there so many centuries ago. I highly recommend a visit to this ancient wonderland. The North Theater at Jerash is one of the best ancient theaters I have seen in a long time.